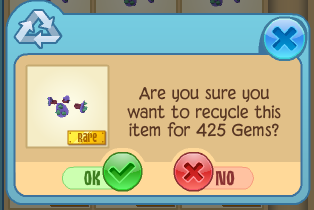 In that post I talked about how rare monday items sell for almost the same price as their buy price. 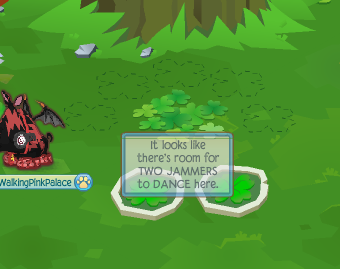 I've been waiting for another nonmember rare so I could transfer gems from my account WalkingPinkPalace to my main. I had like 300k gems on there from playing Return of the Phantoms so much. 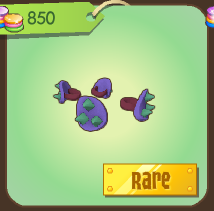 It was a pleasant surprise seeing the rare this week was a nonmember rare! I always made jokes about spiked garb being available in Eagle Quest but I never actually had proof until the other day. I actually got one! forgotten desert prize guide... I think you'd finish it in about 89 years, not 7 years. Mel, I think I had the weirdest dream ever. dang it no work ! Oh no! That's awful. I hope you get your account back. Oh my gosh!!!! Change the password quick!!! Mey i hez ur spikey garbaje? Maybe you could get it done that ONKY if you worked on it 24/7 you could also get some people yo help you with prizes? Ooh, Head Feather Giveaway? Count me in! I'mma go for the brown one with the yellow zig-zags! Hey Mel, I'm going to make a plushie blog (I finally finished breadstick), do you mind if I use the whole talking with different colors thing? Trading More Than 12 Items? Cosmic Necklace Glitch + Fan Art ! 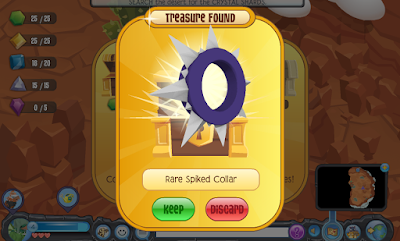 Does anyone have this item? New Den Tabs Coming "Soon"